There are many ways you can help others this holiday season - here are just a few. 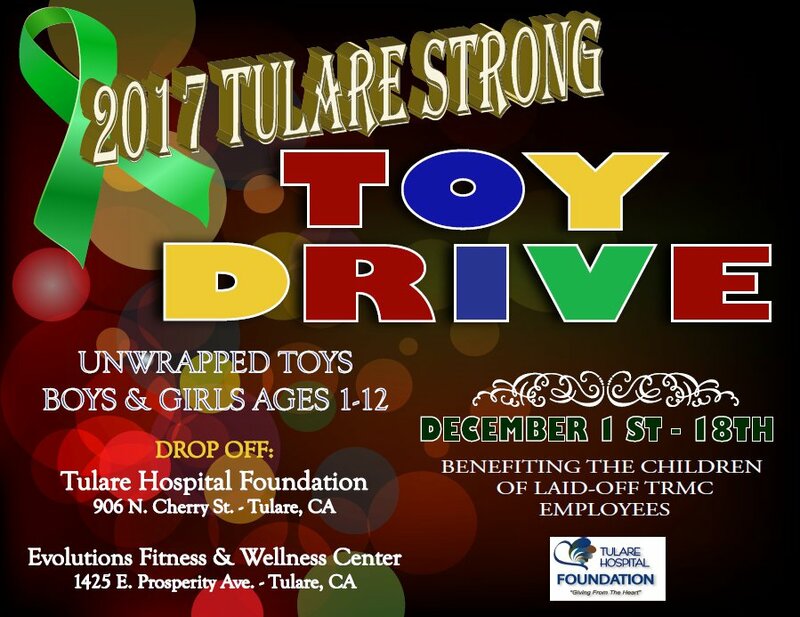 Tulare Hospital Foundation is hosting a Toy Drive to benefit the folks who were laid off when the hospital closed. Drop off details on the flyer above. More than 300 homebound senior citizens, who often do not have friends and family visit them during the holidays, receive a stocking filled with donated cold-weather comfort items during the annual Kings/Tulare Area Agency on Aging (K/T AAA) Stockings for Senior Citizens drive. Tulare County businesses, community partners, and residents are invited to collect stocking-stuffer items and help ensure these senior citizens receive a gift during the holidays. Community members can help by donating cold-weather comfort items such as slippers, socks, gloves, scarves, beanies, and lap blankets. Volunteers then visit the senior citizens and deliver the stockings filled with gifts. For donation drop-off locations, please call Bonnie Quiroz at (559) 623-2877. Community members wishing to make financial contributions can do so through Friends of Tulare County by logging on to www.friendsoftularecounty.org, clicking on the “Services and How to Donate” tab, and choosing “Stockings for Seniors”; or by mailing a check to 5957 S. Mooney Blvd., Visalia, CA 93277. Please write “Stockings for Senior Citizens” on the memo line.